Since this day was to be a lot of mileage, we arose early. We got to the Basaseachi National Park late that morning. We were the only tourist vehicles at the parking lot. We got our things together to hike a couple of hours to the top of the falls and partway to the bottom. 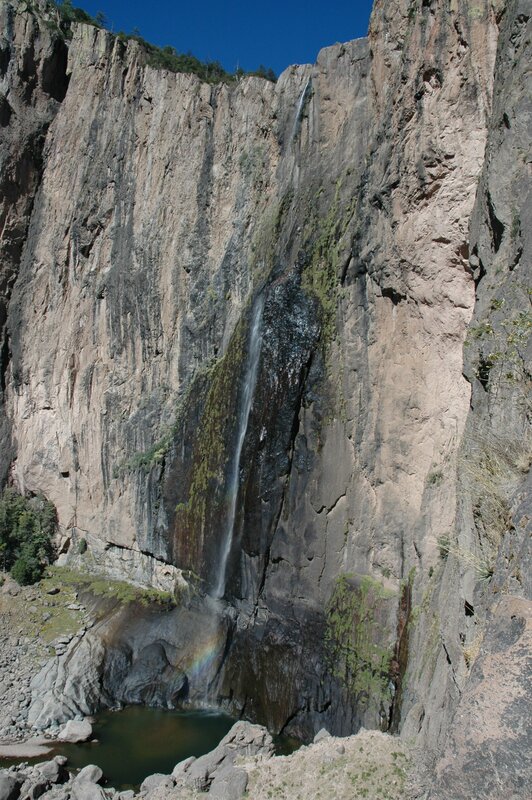 The falls had especially low water volume due to the really light rainy season that was just experienced. This is obviously bad for admiring falls, but boded well for our upcoming river crossings. We got back to our vehicles around 1pm and decided to eat lunch at the small restaurant off the parking lot. The only noteworthy experience to relay about lunch is that the burritos were really small, used a wheat tortilla, and contained only meat. They were still larger than a traditional Mexican taco but nowhere near the size of an American burrito. When we have seen burritos (only in mainstream tourist towns) in Mexico, they were more akin to the American sized ones. We saw the small sized ones throughout the canyon areas. Maybe these only exist in this area? Also, when we got back to the lot, we were immediately greeted by an older, less well dressed man. He hung out near us while we ate lunch and engaged us in small talk. We were trying to figure out what his angle was amongst ourselves. Our best theory was he operated one of the trinket booths that lined the lot. We were wrong. As we were packing back up to leave, he requested we each pay him 20MXN for watching our cars. We left the Basaseachi park, retracing our tracks on MEX16 back towards La Junta. About 10 miles before La Junta, we turned off MEX16 and took a new road (MEX127?) south to Creel. This was not the most direct route to Creel. Taking the road from Basaseachi to San Juanito (about 40mi to the WSW or about 15mi N of Creel) would have been more direct. The reason we did not choose this way is that the night before in La Junta, we were told by a local restaurant owner not to take this route due to bandits. He told us men with masks held travelers on the road gunpoint and robbed them. For what it’s worth, he said it was not drug related. We pulled into Creel at twilight. We found the Hotel Villa Mexicana which was a RV park as well. We stayed in their RV park within our vehicles the next two nights. 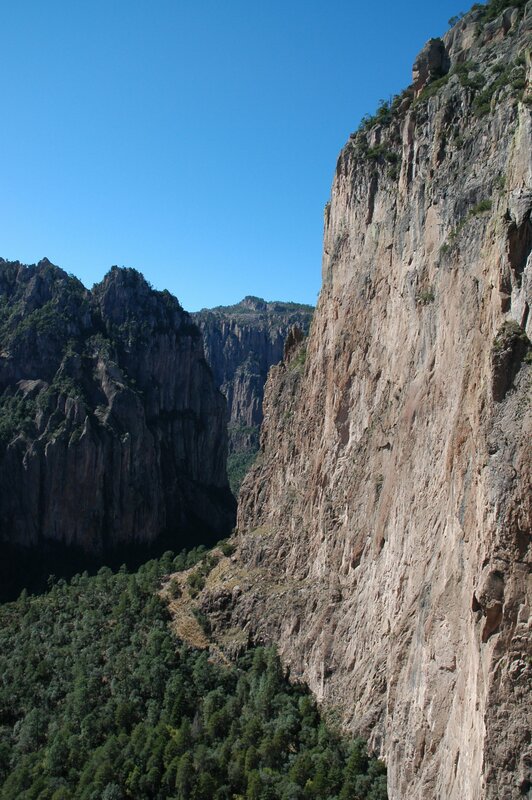 This entry was posted in Copper Canyon, Mexico, North American Travels by admin. Bookmark the permalink.